In Malawi, "Moni!" means hi. Welcome to our family-friendly page that’s designed to teach you more about kids in Malawi! Have a question? Let us know at the bottom of the page. What's it like to grow up in Malawi? Kids in Malawi are just like you—they play with friends, like to learn, and most of all, they dream big dreams. what do kids do for fun? Dancing, soccer, and games like hopscotch are all favorites where we work. At Tiyambenawo Community, young athletes often practice together near the local school. The field is long, dusty, and flat—but their games are sometimes interrupted by a stray goat or cow! Everyone in Malawi likes soccer, but sometimes children don’t have enough money for a real soccer ball to play with. Instead, they gather old plastic bags and small bits of string to make their own. By layering bag after bag, string after string, they gradually build a ball that will hold together when they shoot on goal. Check out the ball the Tiyambenawo Team made, and visit the bottom of this page to see how you can help this team get a new ball to play with. What is school like in malawi? Learning is very important in Malawi, but sometimes it is hard for students to go to school. Tadala and Brenda are best friends who are both receiving scholarships to go to secondary school. When they aren't studying, they like to sing and write poetry together. Children in Malawi love going to school, but sometimes they do not have the books, uniforms, or school fees they need. Many students are forced to stay home to help their families with chores, and they miss important time in the classroom. This makes it very hard for them to graduate from high school and go on to university, which is a dream that many young students share. 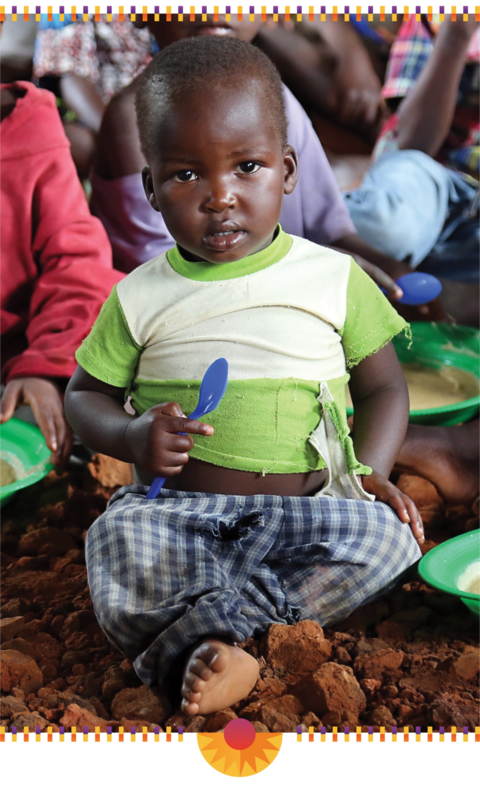 what do kids eat in malawi? The staple food is “nsima”—a thick porridge made with corn flour. To make nsima, corn flour and water are mixed in a large pot for a very long time. In the morning, it is served as a porridge that has a similar consistency to oatmeal. In the evening, nsima is cooked longer until it becomes firm like dough. Sometimes, nsima is served with tomato sauce, cooked vegetables, beans, or on the most special occasions, with meat. Everywhere you look in Malawi, there are fields of corn. But in the past few years, there has not been enough rain to make the corn grow big and tall. The gardens are producing less corn, and this means there is less food for families to eat. There is good news. Yamba Malawi is helping families add other plants to their gardens, like peanuts and soybeans. These crops do better with Malawi’s weather, and they are now providing a healthy food option for Malawi’s children. YOU HAVE THE POWER TO HELP KIDS IN MALAWI. Whether you want to send a note of encouragement, donate your birthday, or bring Yamba Malawi to your classrooms, there are many ways you can help kids in Malawi.